Compounds found in jackfruit seeds produce many of the same aromas as processed cocoa beans and are a potentially cheap, abundant substitute for use in chocolate manufacturing, according to a study published in the Journal of Agricultural & Food Chemistry. Globally, farmers produce about 3.7 million tons of cocoa annually. This yield is not expected to increase significantly in the next decade, but estimates suggest that worldwide demand for these beans will grow to 4.5 million tons by 2020. 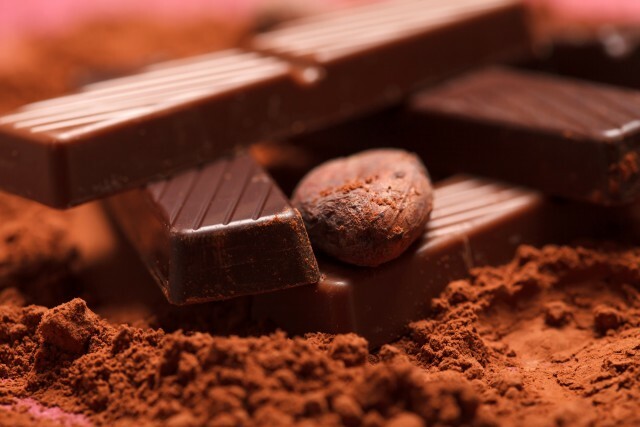 To meet growing expectations, scientists are investigating alternative sources that can mimic chocolate’s distinct aroma and flavor. One of these possibilities is jackfruit, a large tropical fruit found in South America, Asia, Africa and Australia. In some countries, its sweet-smelling seeds are boiled, steamed and roasted before eating, providing a cheap source of fiber, protein and minerals. In Brazil, the largest cocoa producer in the Americas, jackfruit seeds are considered waste. Looking to put these waste seeds to better use, Fernanda Papa Spada, Jane K. Parker, Solange Guidolin, Canniatti Brazaca and colleagues sought to determine if any of the compounds within them could be used to produce chocolate aromas. The researchers made 27 jackfruit seed flours by acidifying or fermenting the seeds prior to drying. They roasted these flours for various times and temperatures using processes similar to those used to enhance the chocolaty flavor of cocoa beans. Using gas chromatography-mass spectrometry, the team identified several compounds from the jackfruit flours that are associated with chocolate aromas, including 3-methylbutanal, 2,3-diethyl-5-methylprazine and 2-phenylethyl acetate. They also asked volunteers to smell the jackfruit seed flours and describe the aromas. In contrast to the acidified flours, the fermented ones were described as having more positive attributes, such as caramel, hazelnut or fruity aromas. The researchers conclude that jackfruit seeds are capable of producing chocolate aromas and are a potential replacement for the aroma of cocoa powder or chocolate. The authors acknowledge funding from the National Council of Technological and Scientific and Research Foundation.